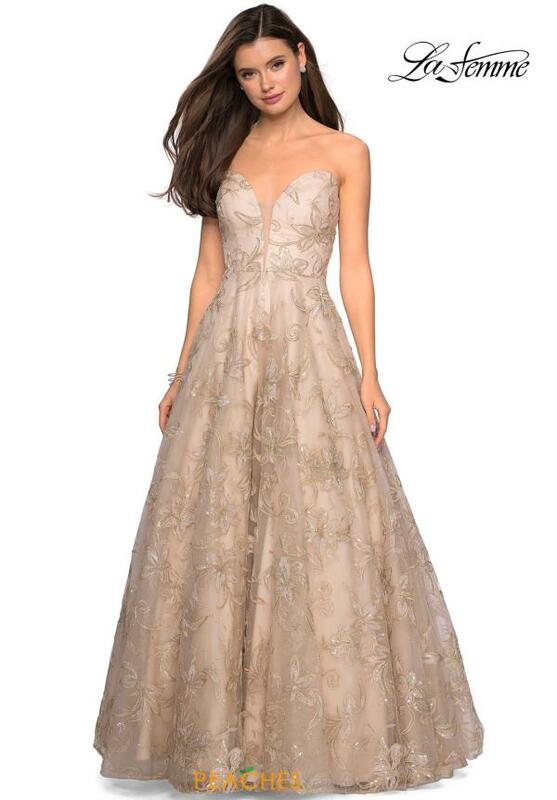 Love and wear this elegant prom dress 27640 by Gigi for your senior year prom. This intriguing gown showcases a strapless sweetheart neckline with a mesh inset and an a line silhouette. Stunning floral and lace appliques adorn the entire gown for a flattering effect. For more styles visit Peaches Boutique in Chicago.